We had friends call for dinner last night. One had never had bread and butter pudding so before they headed back home today I made one with the rest of the baguette that we had. 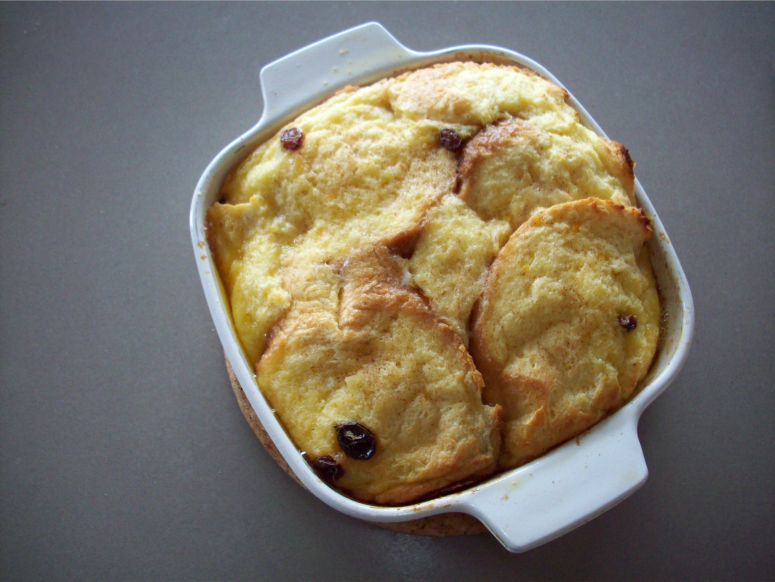 Just a nice, simple pudding with a dash of lemon juice, some finely diced lemon rind that I had left over and a scattering of sultanas into the mix. It turned out lovely and they were delighted to take it home, if it lasted that long on the car trip. 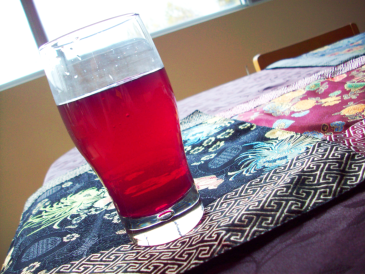 I have also recently been making batches of beet Kvass. Simply just a few small beetroot or a large one cut up into chunks put into a ceramic bowl with a 1/4 cup of kefir or yoghurt whey, about 8 cups of rainwater and not quite a tablespoon of celtic sea salt. Covered with a plate or muslin cloth and left for two days. I then filter it into bottles and refrigerate, using the left over beet to make another batch, usually just with water and salt as it already has the active bacteria present. It keeps in the fridge for some weeks and has a really beautiful colour depending on the beetroot variety used. I usually add a 1/4 cup and fill with water. It has a subtle beetroot flavour and is unusually thirst quenching. It is a very popular beverage in Russia and is very good for supplying beneficial bacteria into your body along with the health benefits of beetroot.